​ Quickline deliver fast reliable internet connectivity to Business, Public Sector and Residential customers via an independent Fibre and Fixed Wireless Access network, alongside our partner networks. 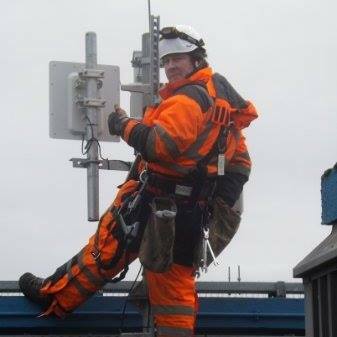 Our infrastructure means we can deliver high speed reliable solutions to both urban and rural locations, supported by our own highly skilled engineers. Our business customers include some of the world’s largest international companies attracted by our unique approach to finding solutions to issues. ​ Services supplied include 100% uptime ultrafast multipath connections, remote monitoring of distant plant, international links to overseas operations. ​ For our home users we bring superfast connections even to areas poorly served by traditional technologies. The scheme sets out to provide access to a free or subsidised broadband installation to homes and businesses that are unable to access a broadband service with a download speed of at least 2 Mb per second and will not benefit from the current phase of the BT Superfast Broadband roll out within the next 9 months. Reliable access to the internet is an important part of everyday life at home and at work. If you currently experience poor broadband speeds, or are unable to obtain an affordable broadband service at all, using Quickline in conjunction with the Scheme will provide you with access to a fast broadband service that will offer speeds of at least 10Mb per second, you also have the option of our superfast products 30Mb per second plus and even the ultrafast range, where available, up to 100Mb per second. If you take advantage of the Better Broadband Subsidy Scheme your household or business will still be eligible for a fibre to the cabinet (BT) broadband service in the future if this deploys in your area. Currently applications to the Better Broadband Subsidy Scheme can be made until the end of December 2017. Households and businesses that are eligible to take advantage of the Scheme will be provided with a unique code that will cover the cost of the installation of a Quickline Home or Business Connect broadband service including any necessary equipment. Where a service requires a higher installation cost the voucher will cover the first £350. There is a requirement to enter into a contract for a minimum of 12 months and pay any remaining cost of installation, the monthly charge for the service you select including any VAT payable. ​ The code has no other value and cannot be redeemed in any other way than through the Scheme. Vonage offers unlimited calls to UK landlines from just £8.00/month with no line rental charges and no installation costs. ​ Simply plug into your Quickline broadband router for a clear, reliable and feature packed landline service. ​ Quickline uses a combination of technologies to deliver Superfast internet to your home, lodge or static caravan regardless of how remote. Don’t be put off by any previous experience with wire based providers, Quickline are different! We don’t just use phone lines, we use fibre optic and/or beam superfast internet directly to your property, so there’s no need to wait. You can get connected to next generation internet today. Our services are fast, reliable and secure. They are ideal for gaming, iPlayer, Netflix and all the other good bits the internet has to offer.